Hi! I am Faby Saturn on Youtube, And I played your game! I really do enjoy it! :) Here's my let's play of it if you would like to see it. Hi there, I just wanted to let you know that I played your game, and I really enjoyed it. I also made a Let's Play video of it as well, I hope that's okay. This game was really fun and I love how all of the objects interact. But my favourite thing was all of the alternative names for all the objects those were brilliant. So thank you for making this game, it was a lot of fun. Bright, cheery, and artistic. These are three words that describe this gaming experience. Other words that apply to this game are: Weird, surreal, creepy, random, soupy, and...chill. My point being that this is a pretty fun game that lets you throw an assortment of junk together and call it art. Just like real artists! Good job, game maker person. On a side note, being able to remove pieces would be nice. 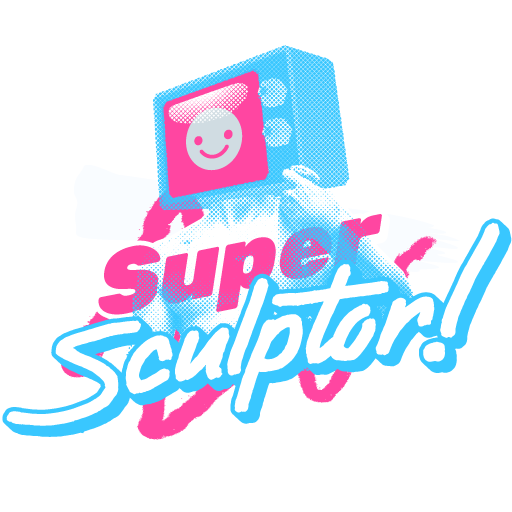 Our first goal with Super Sculptor was to actually create a really cool piece of art; however, once we figured out all the different items, Quazky got a little out of hand with the silliness that could be created. Really enjoyable game and definitely a fun one to play casually to see what can be created! Here's a video of our... masterpiece, yes, we'll call it that! I loved this game! I finally was able to make my artistic vision come to life! DanTDM just played your game. A very interesting and adorable game! I'm a huge fan of creative games, so I had to give this one a shot. Here's a review! This game is awesome, loved to mess with the physic!